Adwords pay per click is definitely the top PPC engine in the business. People love to search on Google, and for that reason this is what most people use to bid on advertisements. Making use of this in your business can be an excellent decision! Before you get started with Adwords, however, you definitely need to have a good grasp on the system. There has been more than one business owner who has lost their shirt by not understanding how to bid, which keywords to choose, and how to prevent losing a ton of money! The first thing you should do is read Adwords’ own help section on the topic (found on adwords.com). It is actually quite helpful, and will answer many of the questions you have. Unfortunately, it does not go into many of the ins and outs of working with Adwords. For that reason, many people turn to a pay per click coach. This can be extremely expensive — especially when you are finding it difficult to pay for Adwords in the first place. If that is the case with your business, the best option is to purchase a guide or e-book to learn everything you can on your own. The good news is that this is not as difficult as it seems. It can even be quite fun and addictive to start bidding with Adwords pay per click! It can also be very lucrative if you know how to get your bids down and create targeted ads. In fact, one of the biggest mistakes people make is creating the wrong kind of advertisements. You actually don’t want as many people as possible to click on your ad! 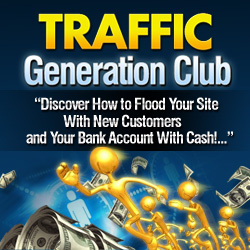 While this will get you more traffic, it will not bring you the targeted traffic that will lead to the best customers. By simply reading a guide by an experienced marketer you can save yourself thousands of dollars that you’ll find is wasted during the testing on your own. Another important thing that you should understand about Adwords is that there is a quality score. The higher your quality, the lower your bids tend to be. If you have a poor quality landing page, you’ll get what is called “Google slapped,” and it will be nearly impossible for you to bid on your desired search terms. Once again, reading an Adwords guide can make all the difference in the world between running a profitable campaign and running out of money before you get a chance to. Do You Have What It Takes to Be an Internet Affiliate? Article Marketing Is Not for Everyone… Or Is It? Is the AdSense Effort Worth Your Time? You're Already a Master Persuasion Artist!